Robert “Bob” Leonard, Jr., 66, of Searcy, formerly of Moreno Valley, California, passed away December 2, 2018 at Unity Health in Searcy. He was born September 11, 1952 at Fresno, California to the late Robert Sr. and Margaret Slaymaker Leonard. Mr. Leonard graduated from Kubasaki High School. He enlisted in the US Marine Corps, serving 24 years. 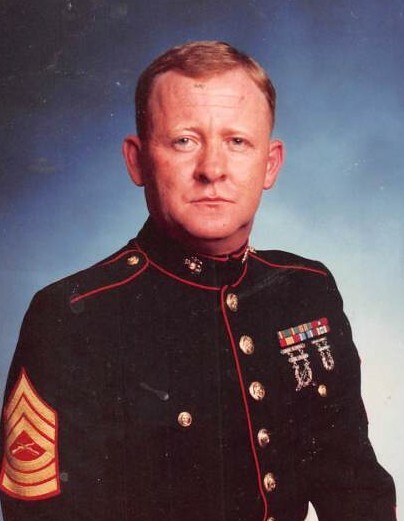 During his time of service, he was affectionately known as “White Shadow” to his troops that he lead in his early years, later retiring in 1990 as a Master Sergeant in a recruiting office. He started a second career working for Road Systems in California, later being transferred to Searcy. He loved anything outdoors including hunting, fishing, and BBQ’s with his family. When he couldn’t be outside, he enjoyed tinkering in his garage. He married Jana Kay Young Leonard August 20, 1976 at Riverside, California; she survives. He is also survived by three daughters, Lisa Clanton (Kyndall) of Las Vegas, Nevada, Shanna Davidson (Earl) of Moreno Valley, California, and Jamie Leonard (Chance) of Searcy; eight grandchildren, Brittany, Earl Jr., Robert, Logan, Lawrence, Bryson, Madison, and Brayden; four great grandchildren, Jayden, Channing, Brooklynn, and Amari; two brothers-in-law, Harold Young of Hemet, California and Tony Young of Hemet, California; one sister in law, Connie Gray of Hemet, California; one sister, Patty Lighte of Hesperia, California; as well as many friends. Visitation will begin 1:00 p.m. Friday, December 7, 2018 at Sullivan Funeral Care with funeral services beginning at 2:00 p.m. at Sullivan Funeral Care. Burial will follow at Meadowbrook Memorial Gardens in Beebe.